The legend of the Pied Piper is famous around the world. In fact, the German musician who liberated the city of Hamelin from vermin with his flute is a tale that we’ve all heard at one point or another. 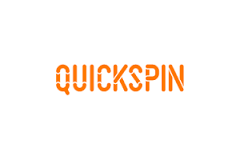 But now, thanks to QuickSpin the story we all know well is being brought to life and give you the chance to get your hands on a lot of money thanks to the multiple features it offers. And below you’ll find more about it before venturing at any casinos that offer this slot! Type: Video slot, Legend theme. Reel: 5 reels and 4 rows. A great thing about Pied Piper Video Slot is that this game is not only packed with features. But actually each feature you’ll have the chance to trigger contributes to bringing to life this classic story. But for this short review, we’ll tell you a bit more about the best paying feature which is, of course, the Free Spins bonus with multiple add-ons. The Free Spins that keeps on giving! First of all. Know that you’ll win 10 Free Spins after landing 3 or more Bonus symbols anywhere on the reels. If you’ve noticed the headline of this section, we’ve said that the Free Spins keep on giving! This is because the hero of the story will appear as Stacked Wilds on any reels and will trigger several re-spins. Indeed, the Pied Piper will move from one reel to another, and he’ll bring with him any extra wild mouse symbols that have landed in view. This feature is commonly known as walking wilds. And it’s a favourite of many casino players because when triggered the winning possibilities multiply as the wild symbols move from left to right and vanish from the grid. Additionally, it’s worth knowing that every time the Pied Piper fully land on the reels in the base game. You’ll trigger the Walking Wild feature with Re-Spins too. Without a doubt, this is one of the best slots ever release by QuickSpin in our opinion. Not only does it have great graphics, a good soundtrack that contributes to bringing to life the story. But its feature also helps in delivering the storyline and will keep you engaged as you play. But keep in mind that this slot is a medium to high volatility. So you’d be wise to claim a casino bonus to have a longer session on it. And, of course, get more chances to trigger all the features it offers. QuickSpin games are available on mobile casinos and desktop widely, so try them now to have fun and good luck in your adventure!